Elderflower beverages created with care and unsurpassed integrity provide a unique non-alcoholic refreshing drink. These products are diverse, great for all the family for all occasions. Summer in a bottle, perfected. 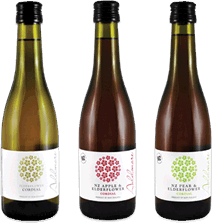 Addmore Elderflower Cordial is the flag ship of our beverages range. Creamy aromatic flowers of Elder tree full of sweet exotic flavour are packed into every bottle. Cordial to be diluted with cold or sparkling water for an effervescent ‘pick-me-up’, or added to hot water for soothing drinks. Add to fruit punches or sophisticated cocktails or made into playful jellies. Elderflower cordial is an essential for everyone’s pantry. Addmore Sparkling Elderflower Rose combines the essence of Addmore Sparkling Original with fruity aromas of unfermented mid-summer grapes. The soft-pink hue and millions of tiny bubbles make this a very special beverage perfect for celebrations or to simply enjoy. Serve chilled as a sophisticated refreshing alternative to more traditional bubbles. Addmore Sparkling Ginger White Tea & Elderflower combines the essence of Addmore Sparkling Original with exotic organic ginger and White tea (bai mu dan) a rare and highly prized tea from the tea plant Camellia sinensis. White teas are said to contain up to 5 times more anti-oxidants than any other type of tea, making the combination of organic Ginger, White tea and Elderflower a wonderful natural pick-me-up. NO PRESERVATIVE.